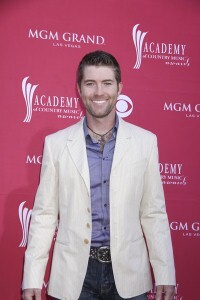 Josh Turner says he knew his wife was pregnant before she did, even though an initial at-home pregnancy test was negative. "So when she took another and told me she’s pregnant, all I could say was, ‘I told you!’ and she was floored," the country star told People magazine. Turner, who’s 32, and his wife, Jennifer, already have two sons, Hampton, 3, and Colby, 1. Their new baby will arrive in January. "I come from big families – my momma was the oldest of three and my daddy was one of six – and I’ve always loved children. They bring a lot of joy to the world and they make us adults look at things in a better way. So it’s a natural thing for me and Jennifer." The Turners have made life on the road a family affair. Jennifer plays keyboards and sings background vocals in his band while Hampton and Colby travel with them on their kid-friendly bus. "We get to see the whole world together and the boys are learning so much more than they would if they were just hanging around the house all day." Turner recently released his fourth album, "Haywire." He is currently on tour.